Thank you to everyone that helped us make 2017 Conference a total successs!! 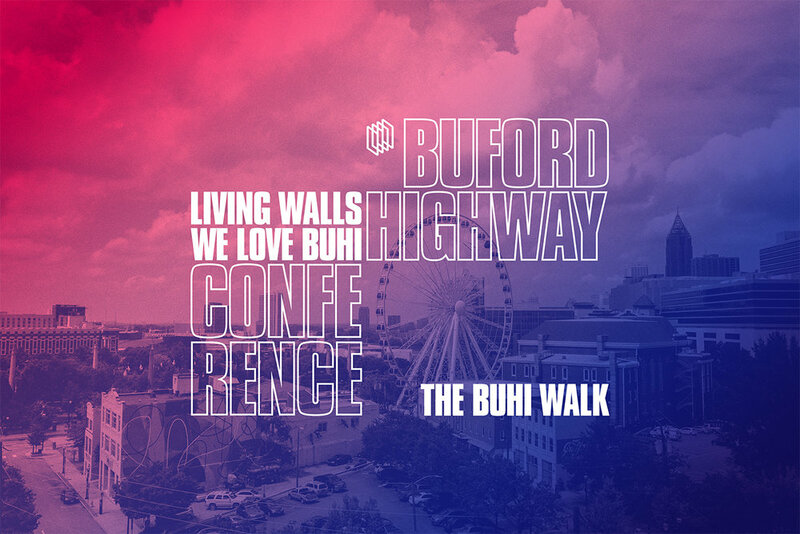 This year we are excited to announce that we will be partnering with We Love BuHi to bring installations and art to the Buford Highway area in the hopes of highlighting a place so rich in multicultural diversity. For the past year Living Walls has been working alongside designer Tim Lampe to create a new aesthetic and brand, and we are so happy to finally be able to share it with you! Working with Tim has been a wonderful experience and we are truly grateful for all his hard work.